On 31 August 1888 Mary Ann Nichols, the first victim of Jack The Ripper, was found brutally murdered in east London. Sputnik spoke to Richard Jones, founder of the Jack The Ripper Tour, about why the serial killer exerts such fascination on people even today. Mr. Jones runs the Jack The Ripper Tour, which takes tourists on a guided tour of the various locations in Whitechapel — an area just to the east of the City of London financial district — which are associated with the Ripper. Friday, August 31, marks the 130th anniversary of the arrival of the most infamous serial killer in the world — Jack The Ripper. Mary Anne Nichols’ mutilated body was found in Bucks Row, Whitechapel, at 3.45am by a waggoner called Charles Cross who was on his way to work. She was the first of five prostitutes who would be murdered in the space of 12 weeks, creating terror in central and east London. “She was found in an unlit street. Electric lighting was just coming in but because Whitechapel was a poor area there were no electric lights and very few gas lamps so most streets were dark. That’s why Jack The Ripper got away with his crimes,” Richard Jones told Sputnik. He said there were a lot of similarities between the press coverage of the Ripper’s crimes and the media’s current obsession with knife crime, gangs and immigrants. Were There Really 11 Ripper Victims? 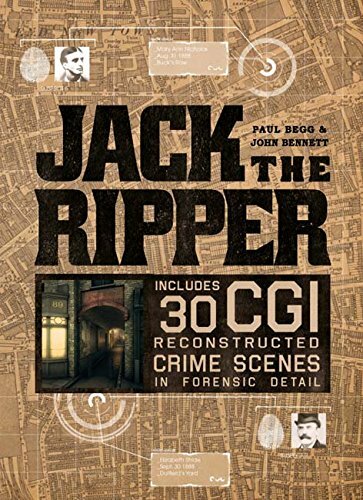 Jack the Ripper Paul Begg, John Bennett Best Price: $15.66 Buy New $14.87 (as of 07:35 EDT - Details) There are five known victims of Jack The Ripper — Mary Ann Nichols, Annie Chapman, Elizabeth Stride, Catherine Eddowes and Mary Jane Kelly, all of whom were prostitutes — but some Ripperologists consider the first victim to have been Martha Tabram on August 6 and Mr. Jones said he may have killed up to 11 women. 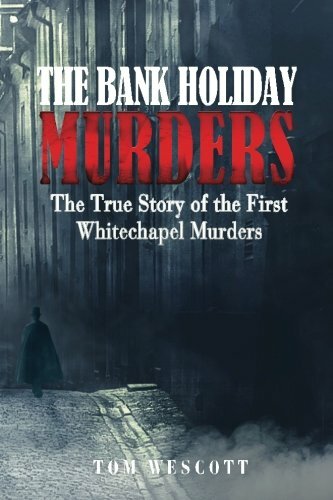 Mr. Jones said when Ms. Tabram was killed it was assumed she had been robbed and murdered by the gangs which marauded around the darkened streets of the East End. But the injuries to Ms. Nichols were so horrific that police officers and journalists soon realized a maniac was on the loose. “At the time gangs were robbing people and openly attacking police officers on the beat. But Mary Ann Nichols was so badly mutilated that people realized it can’t be a gang. Then the focus moved to a ‘lone assassin’, that he was a homicidal maniac or just evil,” Mr. Jones told Sputnik. Annie Chapman was murdered on September 8, 1888 and the press became full of theories about the killer, many of them based on interviews with doctors and psychiatrists, including Dr. Lyttleton Forbes Winslow, who became something of an amateur detective. “Doctors often saw it as an opportunity to get publicity for themselves and their practices,” Mr. Jones told Sputnik. He said the police flooded the Whitechapel area after Annie Chapman’s murder. Mr. Jones said the graffito, believed to be misspelt and anti-Semitic, alarmed the Commissioner of the Metropolitan Police, Sir Charles Warren, who ordered it to be erased. “In another amazing parallel with today, everybody blamed immigrants at the time. A lot of Eastern Europeans had moved into the East End. They were mainly Jews fleeing pogroms in Russia and Romania. Their arrival coincided with a trade slump and a rise in unemployment and a lot of people were claiming ‘they’ve taken our jobs’,” Mr. Jones told Sputnik. He said the graffito was discovered only hours before people were due to arrive for the regular Petticoat Lane Market, where many of the stallholders were Jewish. “The police were very enlightened and they were worried it might trigger a full-scale pogrom. They played it down suggestions Jack The Ripper might be a ‘Hebrew’,” Mr. Jones told Sputnik. Was ‘Juwes’ Graffito A Red Herring? But Mr. Jones is convinced the graffito was a red herring. “There was a lot of racist and anti-Jewish graffiti in the area at the time. Some of the police officers said they thought it looked faded,” said Mr. Jones, who said he did not think it had been written by Jack The Ripper. The last definite victim was Mary Ann Kelly in November 1888 and, despite frequent newspaper stories about the Ripper over the next decade, nobody was ever arrested or charged with the killings, which remain unsolved to this day. But dozens of suspects have been put forward by historians, authors and former police officers in the last 130 years, including Aaron Kosminski, a Jewish immigrant from Poland, and Queen Victoria’s grandson, Prince Albert Victor, the Duke of Clarence, who died of influenza in 1892. “I think he had a grudge against women in general, rather than prostitutes, who just happened to be easy targets. He was probably a local nobody who everybody thought was a bit odd and every now and again the voices took over. He probably either committed suicide or was put in an asylum,” Mr. Jones told Sputnik. “People sometimes say to me ‘wouldn’t the doctors have noticed him?’ but the asylums were probably full of people claiming to be Jack The Ripper. In fact a lot of people got drunk and were running around the streets claiming to be Jack The Ripper,” Mr. Jones told Sputnik. He said although the police did make some mistakes during the investigation he feels it is unfair to blame them for not solving the murders. 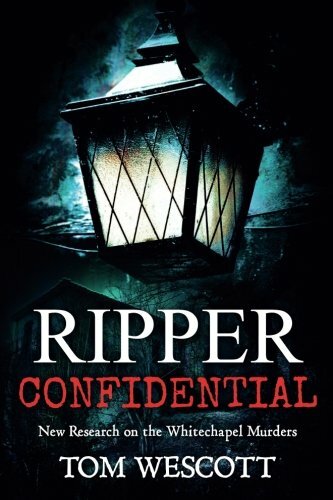 “Jack The Ripper was not leaving any clues so there was no way to trace him. There were no real forensics. They didn’t have the concept,” Mr. Jones told Sputnik. “I don’t think it will ever be solved. All the evidence has disappeared. DNA is the buzzword and some people claim it can be solved with DNA. But even if the DNA found on Catherine Eddowes’ shawl was Kosminski’s it doesn’t mean he was the killer. These women were prostitutes after all,” Mr. Jones told Sputnik. The views and opinions expressed by Andrew White are those of the speaker and do not necessarily reflect those of Sputnik.